Are avocados good during pregnancy? What are the benefits of avocados during pregnancy? How much avocado should you eat in a day? Side effects and cautions associated with avocado during pregnancy? When is the best time to eat avocado during pregnancy? How to eat raw avocado? Avocados are known to be the fertility fruit for both men and women (1). The single-seeded berries are eaten not only during periconceptional period but also during pregnancy. Avocados, also known as butter fruits, are pear-shaped, dark green in color and botanically referred to as berries containing a single seed. Popular for the taste and nutrition, this fruit has wide culinary uses. But, can this be included during pregnancy? Momjunction will help you understand if you can have the fruit during pregnancy, and some easy recipes to treat your taste buds. Avocados are safe to include in maternal diets as they contain higher amounts of key nutrients –folate and potassium that are important for fetal growth and development. 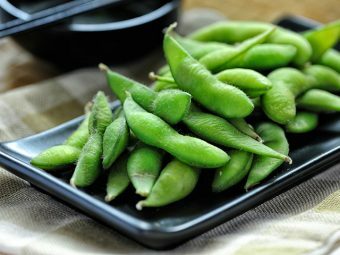 They are full of good fats, and other vitamins and minerals, all of which have a positive impact on pregnancy. The various benefits of eating avocado fruits, also known as butter fruits, are as follows. Lack of enough folic acid can cause birth defects in babies. Therefore, the fetus requires sufficient folic acid for proper growth and development of the organs. Avocados being a rich source provide about 5mcg folic acid per half a cup of fruit (4). 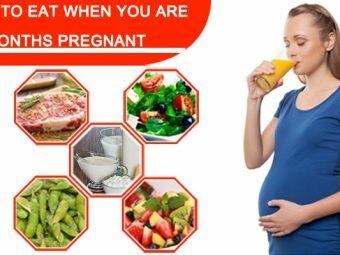 Deficiency of iron during pregnancy can lead to anemia in pregnant women. 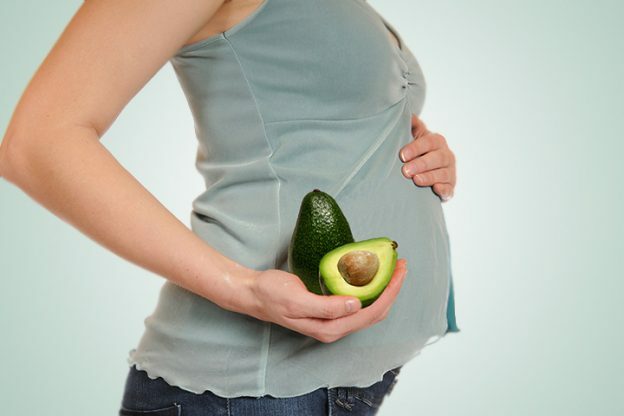 Avocados contain abundant amounts of iron necessary during pregnancy (5). Stomach illnesses and constipation are common during pregnancy. The rich fiber content in avocado helps in digestion and eases bowel movements (6). Name a vitamin and avocado has that. The butter fruit is packed with vitamins B1, B2, B5, B6, C, E, and K, all of which are essential for maternal diet and important for the growing fetus (7). This is another common early pregnancy symptom that leaves you extremely tired in the first three months. The vitamin C-rich avocados are useful in beating the condition (8). Regular consumption of avocado helps in keeping the cholesterol (9) and sugar levels in control during pregnancy (10). Leg cramps are also common during pregnancy, and avocados can provide relief from leg cramps. They have more potassium than bananas, and potassium along with calcium eases cramping (11). A single cup of avocado contains 22mg of chlorine that is necessary for the fetal brain development and also the nerve development (12). Avocado provides you with daily recommended intake of calcium, potassium, magnesium, niacin, phosphorus, copper, zinc, and manganese all of which are essential during pregnancy (13). Not only do avocados provide many nutrients, but they also help your system absorb nutrients from other foods. For instance, avocados absorb antioxidant carotenoids from sweet potatoes, leafy greens, and carrots (14). Extra calories are required during pregnancy for the growth of the fetus, and good fats are necessary for it. Avocados contain omega-3 and omega-6 fatty acids that are beneficial for both you and your unborn baby (15). As avocados are high in dietary fiber, they help lower the chances of tremendous weight gain. Almost 25% of fiber is soluble that helps friendly bacteria in the digestive tract improve metabolic health (16). 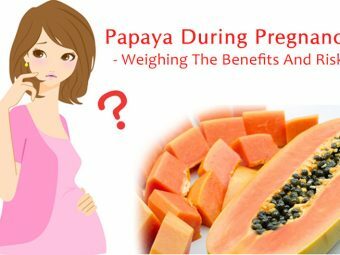 The rich potassium levels in the fruit help lower the chance of preeclampsia as it is known to reduce the blood pressure levels. It could, therefore, decrease the risk of heart issues in future (17). Since avocados offer such amazing benefits, you should definitely know the nutritional facts of the fruit. Though avocados are absolutely beneficial, you must have a cap on the quantity you eat. An avocado a day keeps the neurologist away. However, it is best to limit your daily intake to half a fruit as over-consumption could lead to a few, though rare, side-effects. If you have fat content and are trying to manage weight, avoid taking the fruit in excess. The high calories, though from good fats, can add up to the count. If you are allergic to latex then you must limit the consumption as foods such as avocados and bananas are linked to latex allergies (19). It is better to check with your health practitioner in the above cases. Also, avocado is more beneficial at certain times than others during pregnancy. When Is The Best Time To Eat Avocado While Pregnant? It is best to include avocado during early pregnancy because of its high folate content. 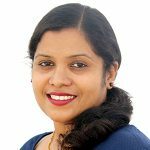 Low folate levels in the early pregnancy are associated with neural tube defects. Therefore, if you include one avocado a day, it keeps the neuro disorders away from your child (20). In the next section, we will tell you the different ways to include the fruit in your diet. You can enjoy eating raw avocado by trying varied snacks. Avocado fries: The firm texture of raw avocado can be used in making fries. You will find them super tasty, thanks to their creamy soft center. Avocado pickle: Cut avocado into small pieces and soak it in tangy brine (salt solution). The super tender pieces give a great flavor. Grated avocado for garnishing: Turn firm avocado into soft confetti for topping salads, omelets, and tacos. Bake an egg with avocado: Eggs and avocados make a great combination. Crack an egg on it and bake for five minutes for a tasty edible treat. Besides these, we also have a few recipes with avocado. To include avocado every day, you can try the beloweasy recipes. Put all the above ingredients in a blender. Blend it slowly, and increase the speed gradually. Let it blend for about one minute or until you get a smooth consistency. Raw avocado smoothie is ready to drink. Preheat the microwave to 425°F. De-seed the avocados, and slice them in half. Scoop out some flesh from the center so that the egg can fit in. Place the half sliced avocados on a baking tray and crack one egg in each of the halves. Try to crack itin a way that the yolk goes first and then the egg white to cover the rest. Bake for about 15 minutes. Cooking time may vary. Ensure that the egg white is set properly. Once baked, remove and top them with pepper and chives. You can also add any other garnishing of your choice. Spread mayonnaise evenly on bread slices. Layer 4 slices of bread with 1 lettuce leaf, 1 slice avocado, 1 slice tomato, 3 slices cucumber, and 1 slice Swiss cheese. Top them with remaining 4 bread slices each. Cut each of the sandwiches diagonally, and they are ready. Cut the avocados in half, and scoop out the flesh. Use a fork to mash the flesh so that any hard parts are softened. Add all the other ingredients and stir them properly. You can use it right away or refrigerate it. So, quickly make these recipes and enjoy taste and health, all in one. Below, we cover a few questions that expecting couples may have regarding avocados during pregnancy. 1. Is it safe to eat avocado with black or brown spots? Avocados turn black or brown when they are exposed to cold temperatures for a long time before they begin to ripen. The discoloration also occurs as a result of compression with excessive handling. 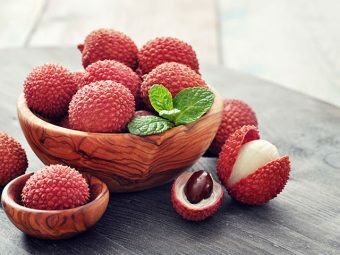 Thefruits can be eaten by removing those spots with a knife. 2. Are avocado seeds edible? It is not recommended to eat avocado seed as there is not enough research supporting its consumption. However, there are studies on the potential benefits of avocado seed extracts rather than the seeds. The extract is known to have antioxidant, anti-carcinogenic, and anti-inflammatory properties (21). 3. What happens if you eat too much avocado? If you over eat avocados, it will cause weight gain,leading to obesity. However, the excess weight is due to the healthy fats and does notharm the body. 4. Does eating avocados make you fat? Eating avocados can make you fat, but it is a healthy, monounsaturated fat. Furthermore, your body requires this kind of fat for energy, absorbing fat-soluble vitamins (A,D,E,K), and mental focus. 5. Is guacamole healthy during pregnancy? Guacamole is an avocado-based dip that contains abundant monounsaturated fatty acids. 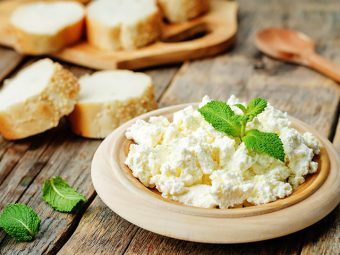 It can be used as a dip or spread for chips, crackers, sandwiches, and wraps. You can integrate it into your meals during pregnancy to reap its nutritional benefits. Most foods are good to eat during pregnancy but you need to take them in moderation. The same is the case with avocados too. Do not overeat them because they are good for health. Do not avoid them completely either. Include avocados in your diet, and mix them with other fruits and vegetables. So, how are you going to include this super food in your diet during pregnancy? Tell us about it and also, if you know any other recipes, you may drop them in the comments section below. Is It Safe To Eat Peaches During Pregnancy?